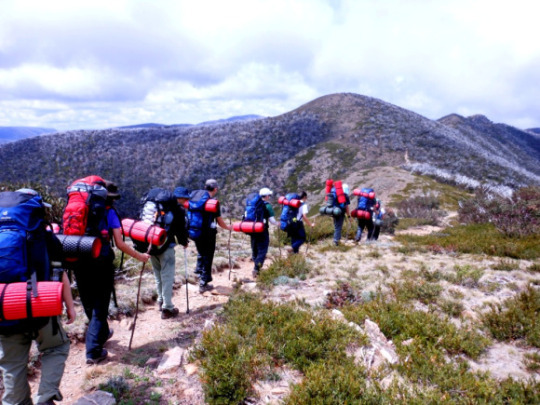 Raffles Press speaks to Lin Jiahui (13A01E) to find out how her ALPs (Adventure Leadership Programme) group completed a 9-day hike through the Alpine National Parks to successfully scale Mt Bogong, one of Australia’s highest peaks. ALPs is an enrichment programme, conducted during the Monday enrichment block, for Year 5s. 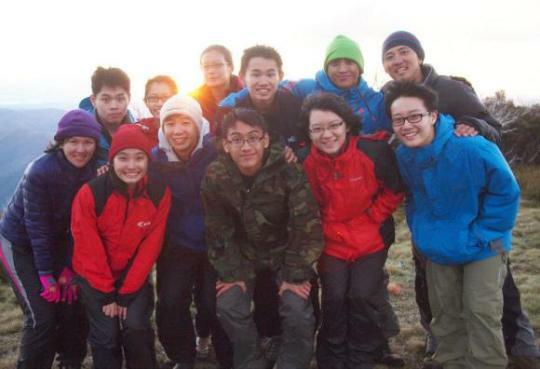 What did you and your group undergo as part of ALPs training? Did it fully prepare you for the climb and did you know what to expect? ALPs training consisted of both physical and leadership aspects. For the physical training, we were assigned to complete a 5 km (which gradually increased to 10 km) run and staircase climbing (100 storeys) each week since the start of the year, and eventually trained in Bukit Timah Hill along a designated route for a few Saturdays with a 12kg backpack. We also went through a 3 day training camp where we hiked for a total of 21 km with our backpacks, and learnt basic survival skills such as map reading, operating a fuel stove and pitching tents. Honestly speaking, physical training in Singapore couldn’t have prepared us fully for the unexpected weathers and terrains that we encountered in Australia, where we pitched tents in a heavy downpour after hiking in the sun for a few hours, and crossed a fast flowing river after hiking downhill for 3 to 4 hours. But the training really did help to better develop our stamina, and prepared us adequately for the intensity of hiking in Australia. For the leadership aspect, training is mostly theoretical; the real learning and application takes place in the mountains, where we have a change of group leaders everyday to ensure that things run smoothly and that we reach the destination by the planned time. It is really much more difficult than it sounds, as there were many unexpected circumstances that arose which required teamwork and quick thinking, all of which would train you as a leader and as a team player. How did it feel, being away from day-to-day comforts such as a bed, shower and proper meals? Well, all of us were more or less wailing for the comforts of home during the first couple of days – good food, hot showers, proper beds and all that. But over time, you get used to sleeping in a tent, not showering for days, and cooking meals for 10 people using canned and preserved food, you start to really immerse in the environment – “the great outdoors”, as one group mate put it, and think less of such routines as “problems”. It simply becomes a different routine that you have to adopt out in the wild, not one which is worse off than that at home. Also, we really do get to appreciate the comforts back home more, things which we more often than not take for granted, such as immediately accessible water. All water sources were located quite a distance from our campsites so we had to walk 1 km or more each time just to get water for cooking, washing or drinking. It’s really tough mustering the strength to go out into the cold right before the sun sets just to get water, when you’re tired and sore from a day’s hike, as compared to, say, simply turning on the tap at home. What were the challenges your group faced on the trip? 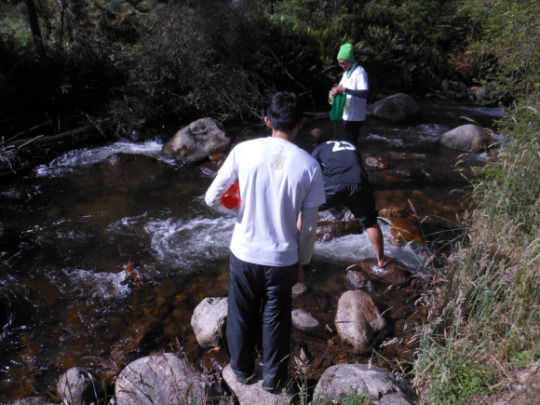 We had group members who fell ill during the hike itself; some had sudden muscle cramps or a fever. As a group, we had to quickly come up with contingency plans, like delaying our hike or changing the destination of the day. So whether we were able to reach the campsite was always dependent on the group effort; how willing we were to help each other out during the hike, how we ensured that everyone was keeping up with the hiking pace. You have to adopt a group mentality when resolving unexpected circumstances. As a group, it also took us some time to translate what we want into actual action. Things like leaving the campsite on time sound really simple, but it takes a tremendous group effort to make sure that everything is done quickly and efficiently, such as cooking breakfast, unpitching tents and fetching water for cleaning up and drinking. We took 2 to 3 hours each day just to get these tasks completed, and were only able to leave the campsite by the designated time on the third day of our hike. Every simple daily task, like cleaning up in the cold when it was pitch dark, required everyone to take on more initiative and step out of their comfort zone, and in that way challenged our group work. One of the craziest things we did as a group was summiting Mt Bogong before daylight, when we had to wake up at 2am and unpitch our tents in the dark and cold. During the hike, we only had a headlamp to light our way, and couldn’t really see due to the thick fog. All of us were also wearing at least 4 layers of clothes, but it was still freezing cold. The last hike upwards really challenged all of us, when halfway through, we had to make the decision of whether to continue or head back to the campsite, which really got us to confront our fears of the unknown. I think the knowledge that there were 9 other people equally tired and unsure, but still persevering and holding on, made us more determined to get to the top as well. I don’t think I would have been able to complete the summit without the rest of the group and the 2 teachers. What did you gain from this trip? I think it is relatively rare for 17 year old Singaporeans to embark on an overseas trip like ALPs – “climbing a mountain” doesn’t seem to be a justifiable priority right now. But ALPs really exceeded my expectations, and opened us to new experiences and horizons we would not have otherwise gone through or witnessed back in Singapore. Things like watching the sunset from the summit of a mountain, or surviving on river water for 10 days. The tough hikes with our heavy backpacks taught us perseverance and self-discipline, the moments spent rolling on grass and lying under the night sky taught us how to enjoy and respect nature, the interactions with group members everyday taught us the importance of teamwork. We not only learnt about our own limitations during the trip, we also saw how far we could stretch ourselves despite circumstances. For one, I didn’t really think hiking 8 to 9 hours for 9 days was possible until ALPs. And I guess what’s great about ALPs is that the lessons we learnt during the trip are actually very applicable to daily life back in the city, where there is more unwanted distractions and more priorities to sort out. It was a great adventure, and despite all the challenges that we encountered, the 10 days or so spent outside our comfort zone were definitely worthwhile.